FOX loves its revivals. Not content with bringing legendary programs like Prison Break and The X-Files back to life on the small screen, they have also started adapting one of the most iconic buddy cop movies of all time into a brand new TV project. The upcoming Lethal Weapon reboot has slowly come together in recent months, and we now finally have the biggest and craziest piece of the puzzle: psycho cop Martin Riggs. After seemingly unending speculation, we now know for certain that the iconic role will change hands from Mel Gibson to Rectify's Clayne Crawford. This news comes to us courtesy of THR. According to the report, FOX has just signed 24 alum Clayne Crawford to take over the role of Martin Riggs in the upcoming Lethal Weapon revival. Fans of the Lethal Weapon series will instantly recognize Riggs’ backstory; a former special forces operative and recent widower, Riggs is the titular lethal weapon of the entire franchise. The death of his beloved wife (and child in the reboot) sends him into a downward spiral, and as a result he’s forced to partner up with LAPD veteran Roger Murtaugh, with Damon Wayans Sr. taking over Danny Glover’s legendary role. Although Clayne Crawford certainly possesses a lengthy Hollywood resume, it remains to be seen if he can achieve the same level of manic energy and sheer absurdity that made Mel Gibson’s take on the character so loveable and dangerous. This news also has us wondering if Crawford’s Riggs will look quite as down and out as the original version of the character; while Gibson almost always rocked the loner mullet, Crawford seems to have a stylist on speed dial based on the image above. Like I already said: casting Martin Riggs very much represents the last piece of the puzzle for the Lethal Weapon reboot. In addition to Clayne Crawford and Damon Wayans Sr. the pilot has already enlisted the acting talents of Jordana Brewster, Golden Brooks, and Kevin Rahm. We will just have to wait and see how these new actors step into the beloved franchise. Will they falter, or give it new life? 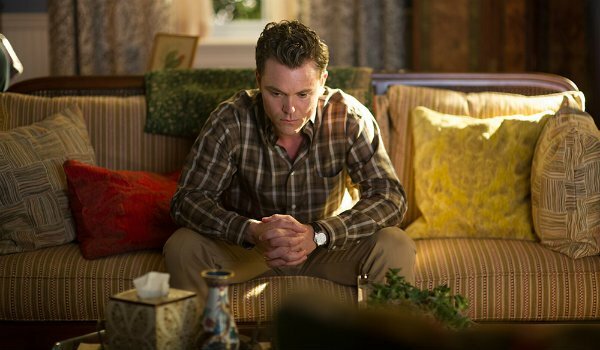 There are few characters from the 1980s quite as iconic as Martin Riggs, so we’re more than eager to see what Clayne Crawford ultimately does with the role if the series makes it to air. We will bring you anything and everything related to the upcoming Lethal Weapon TV pilot as it becomes available to us.